Public toilets tend to have a bad reputation. Until recently, this impression is being ‘flushed out’ of our minds as more and more public toilets boasts of their high-class design and state-of-the- art aesthetics. 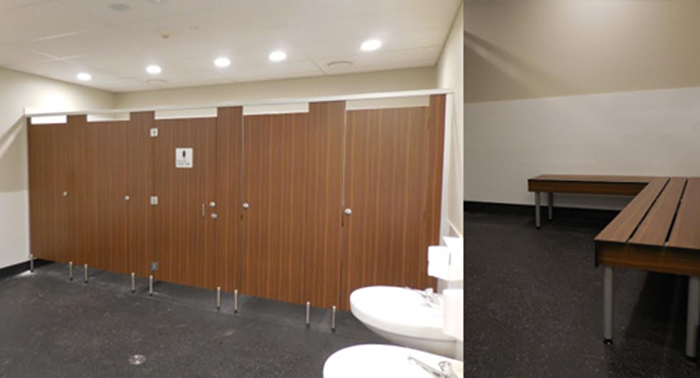 Some of Australia’s public toilets are even hailed as the best in the world. Here we give you the best five public toilets that won’t only impress you but entice you ‘to go’ when you need to! 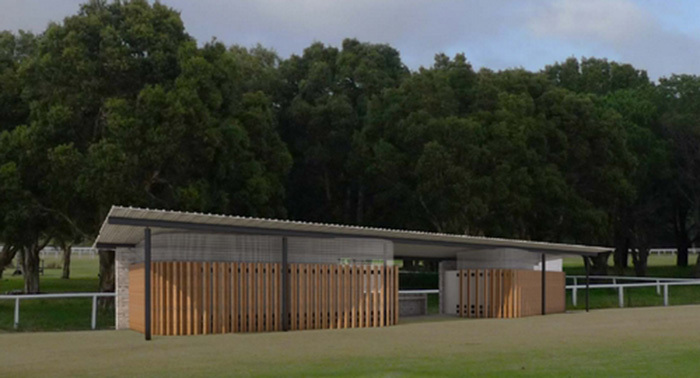 The toilets at the Centennial Park honors the minimalistic design with a touch of natural beauty. The area is divided into two separate pavilions (male and female) and connected via continuous roofing. The hand washbasins are made of polished concrete and strategically located in the common area, giving you a great view of the park. It is a functional and spacious space that can also be used for shelter or shade while discovering the historic Centennial Park. This made it to Design Curial’s World’s 10 Best Public Toilets of 2015. The public toilet at Ringwoood Lake won the Best Bathroom Award 2016 by Total Facilities. It is a very functional facility that houses baby change benches and grab rails. It is especially structured for the aged and disabled. There is a special cubicle that is spacious enough to accommodate wheelchairs. Design-wise, the toilet has a very friendly atmosphere and even designed with playful children silhouettes on the outer perimeter. Owned by the Singleton Council and built by Hines Constructions, this public toilet has a classic, elegant look with a rustic feel to it. The shower partitions match brilliantly with the bench seating, with gives it a consistent look through the space. The doors and divisional panels are Durasafe Brushed Silver 5729 while the nibs and seating are Durasafe Brooks Walnut. The combinations of these products bring about a very sleek and elegant design that is comfortable and classic. The long years of budgeting and planning for pop-up urinals has now come into fruition with Northbridge’s first ever pop-urinal, a pioneer project that we hope to see in every city. 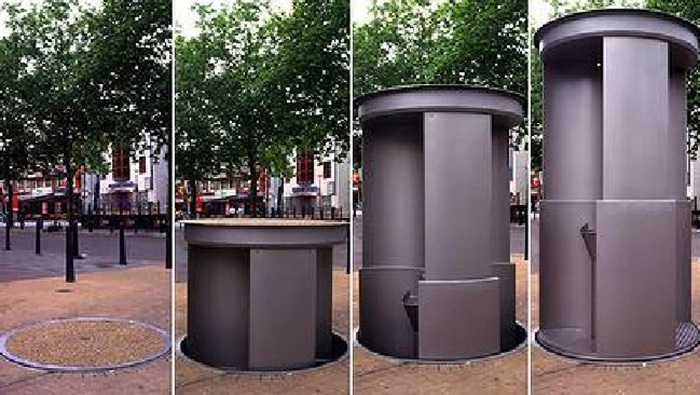 These are retractable urinals that pop up from concrete, street floors. These are semi-permanent installations that can be moved if required. 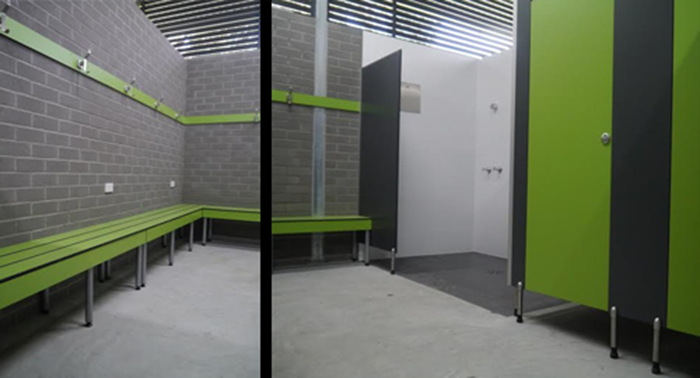 The structure claims to be safer than public toilets, vandalism-proof and promotes hygiene. 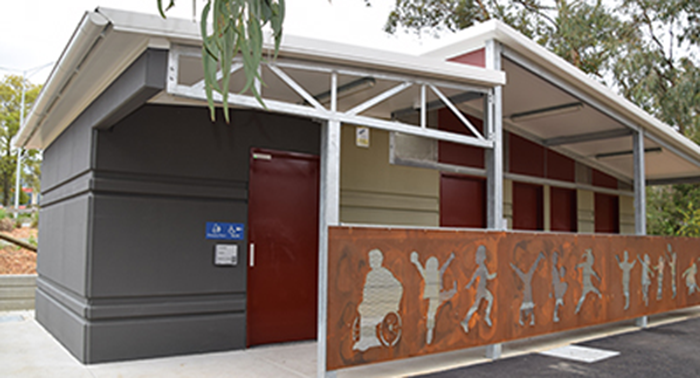 Located at Maitland Road, the Islington Park has one of the most impressive and modern public toilets in NSW. It has a contemporary apple green and gray motif. The walls are lined with gray bricks and brick-like materials. The monotony is then accentuated with green seating and overhead braced system, which gives it a swift, modern touch. The doors and bench seating are Durasafe Green Apple 259 and the nibs and panels are Durasafe Charcoal 279. It has a very functional design giving a lot of room space for a more comfortable user experience.